Blue in color in the interior – it’s a beautiful and natural cold color. This color gives you the feeling of genuine freedom, flight, and space. 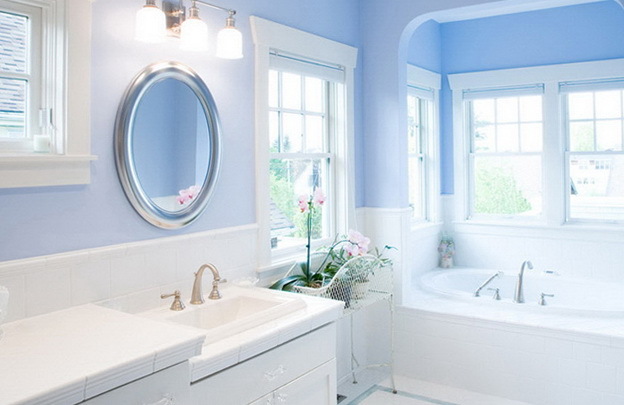 Blue interior style can be attributed to the trend of “Empire”. The bluish color is good for the complete peace of mind, will take on fussiness, and will help you discover the right harmony in the interior. 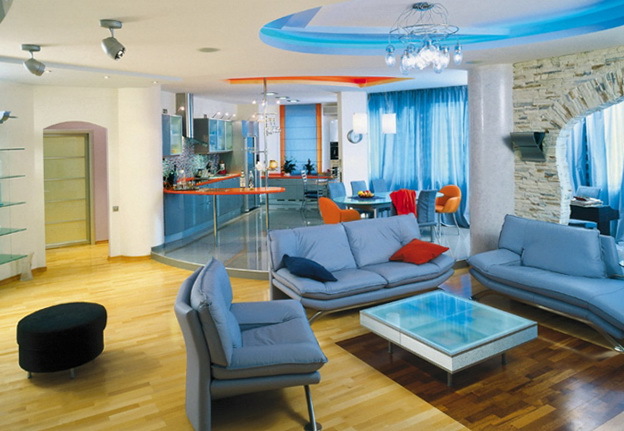 Many people do not comprehend the blue color for the interior design and are afraid to use it even in small matters. Blue color well and blends well with the white color, it does not indicate a strong contrast, and is with him in an intimate tone. White and blue is always a good combination. 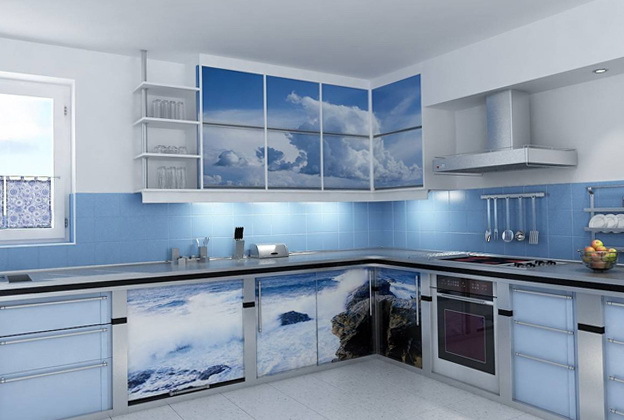 Blue color blends well with the dark blue hues, very harmonious and monochrome colors. 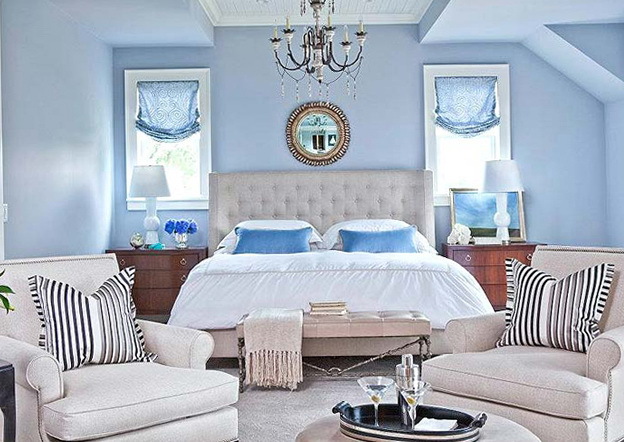 With blue and blue room will not look pale and ghastly. 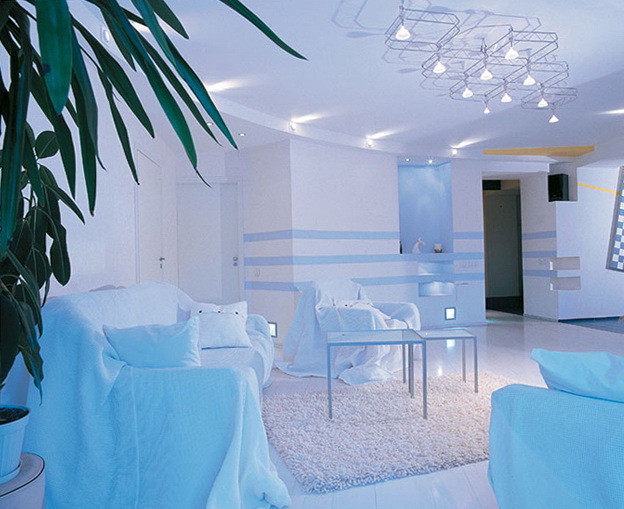 Blue color visually expands the space. White and blue will look very elegant as well as in the bedroom and in the bathroom, though he looked very cool, and there is a feeling of passion, but rather awakening. To the interior in such a scheme have not bored you can choose another color textiles, e.g. yellow, or pale pink sand. You can use a small blue background, or if you want to choose a specific area of the room, for example, use the aqua color in the bedroom, and paint the wall near the bed which will stand, and proper lighting will create a genuine sense of the ocean waves. Children’s bedroom a good place for a combination of blue and white. Such a relaxed atmosphere should be every kid, and colorful toys will make the room more cheerful, even wallpaper with a small rim and bright pictures make it not so boring. 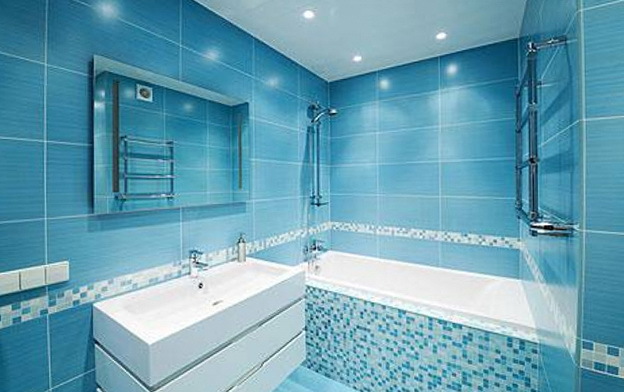 Blue bathroom will not be boring if you add a variety of mosaic blue, blue and white, this is a good solution to make it more attractive.